The peat business in Russia, thank God, is developing. In this time we live in, with its high cost of firewood and charcoal, the widespread use of peat as a fuel is almost a vital issue. But peat is also used to fertilize the soil and as litter for cattle. Demand for this product from our vast swamps increases with every year. To meet these necessities of life, the Ministry of Agriculture and Land Use has organized special courses at the peat department to train masters in the peat business. These courses will last only six months, from April 15 to October 15. No fee is charged for attending the lectures and participating in practical classes. Persons who have attended the lectures, successfully completed the practical classes and passed a test will be issued a special certificate and awarded the title of master of the peat business. A most curious phenomenon was observed in Moscow yesterday. By two o'clock, eggs suddenly stopped being sold everywhere. Already in the morning, all the shops that sell eggs would sell only limited quantities. No more than half a dozen eggs could be sold to one person, and throughout the day the price increased. 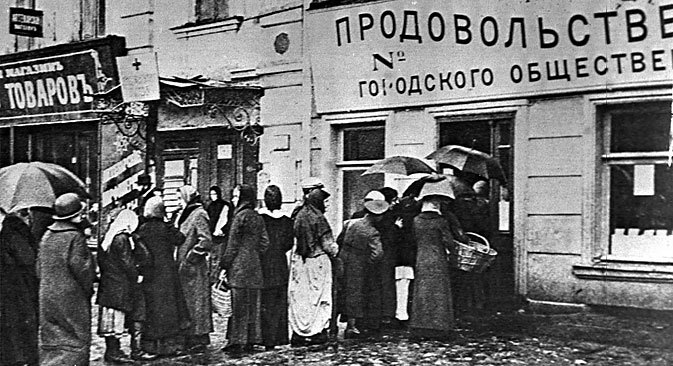 Early in the morning, eggs were still sold at 40-50 kopeks, but by one in the afternoon the price of eggs had reached in some areas 10 rubles and higher. Supplies of eggs to Moscow stopped several days ago. This situation has put the majority of Muscovites in a rather difficult position. Many face the unpleasant prospect of not having red eggs on Easter. The head of the city has allowed the economic boards of Jewish prayer houses and synagogues to acquire from March 1 to March 24 – with the permission by bailiffs – wine for the needs of religious ceremonies. The sale of Peisachovka [raisin vodka used by Jews on Passover – RBTH] is not allowed. According to the estimates of official agencies, 500 women in Moscow have replaced their husbands as porters and up to 100 have replaced men as janitors, working with assistants. There are female night watchmen, mostly at warehouses and stables on the outskirts. Women are now applying for permission to work as cabbies instead of their husbands. There have emerged women newsboys. More than 500 women work on trams. This includes women conductors, pointsmen, rail cleaners, couriers, messengers, and so on. The number of women tram employees must inevitably grow, as now more than 500 men have again been drafted, which is one-sixth of the total number of employees. According to reports from Copenhagen, a deep psychological depression has been felt in Berlin during the holidays. There was no sound of laughter, jokes or boastful remarks about the Allies. Most surprising was the complete lack of street preachers speaking on military topics. Most of the newspapers came out without editorials. Furthermore, there were no reviews of events or predictions about upcoming brilliant successes even in the chauvinist press. All the newspapers generally advised to hold firm and not to despair. Proclamations demanding bread and immediate peace are distributed everywhere by unknown persons. Read more press digests of the past in RBTH special section "Behind the Hedalines"!